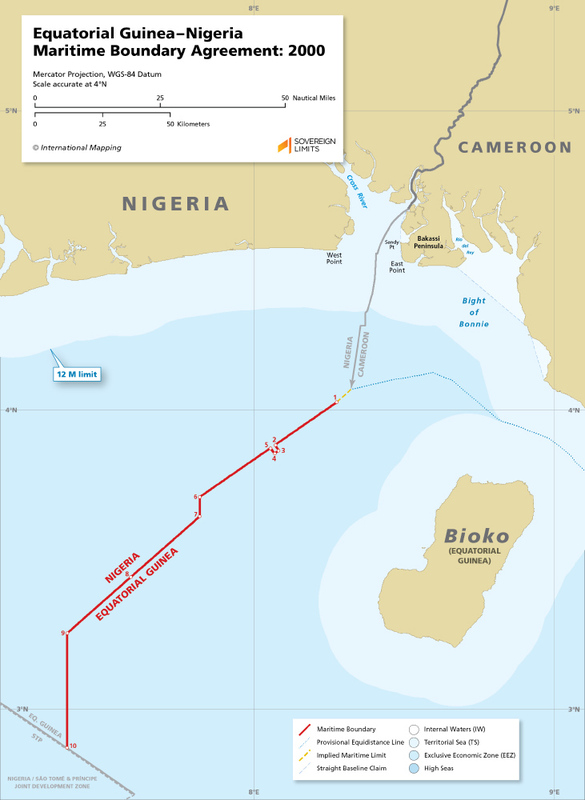 The maritime boundary between Equatorial Guinea and Nigeria was established through a bilateral agreement that was reached in 2000. The boundary extends through the Gulf of Guinea for 98 M and is defined by ten coordinate points that are connected by a series of geodesic lines. The States focused on equitably dividing the abundant hydrocarbon reserves when delimiting the area.